Have you ever felt powerless with the thought it can cost more to be socially or environmentally responsible, especially at times where there is no logical reason why? I know I have and so have many others, especially when it comes to sending packages. For some crazy reason it is often cheaper to put a perfectly packaged box into a single-use plastic satchel to send. Financially and environmentally that doesn’t make sense. How is it that Australia Post can charge a premium, just because you don’t want to use their plastic bag? Considering Australia Post has a policy that claims they have a “comprehensive approach to environmental sustainability”, their policy is conflictingly incompatible with reality. But Sally Flannery hasn’t taken this lightly. 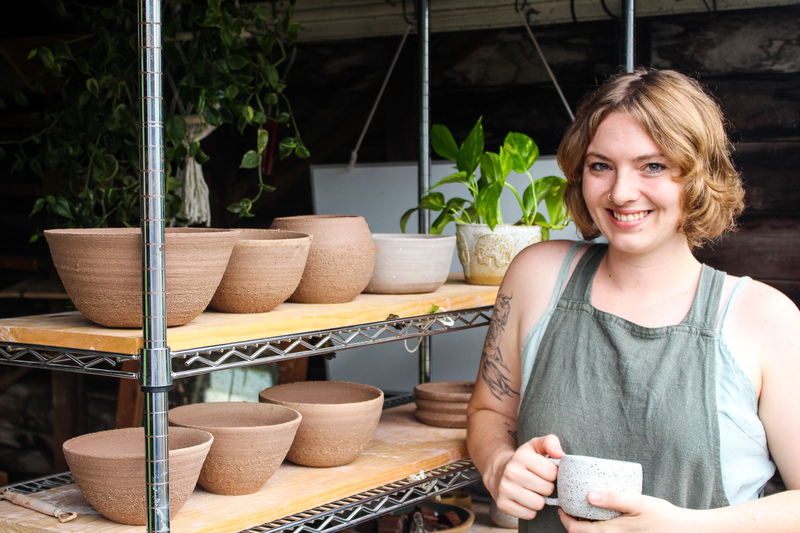 She started a ceramics and pottery business and was doing this full time since last April. But over Christmas it really weighed on her when she was sending up to 40 packages per week and she was literally spending hundreds of dollars extra, knowing that it could be cheaper if she put a perfectly good box in a plastic bag, but she doesn’t want to be environmentally irresponsible. So Sally did what anyone with a voice on social media does and she put her frustration out there. What she learned from her post was that many people feel exactly the same and that lots of people had already contacted Australia Post and it didn’t go anywhere. So she thought she’d create a petition, get people to sign it and show there is public demand for this change. It is fair to say that if customers want to be environmentally responsible and refuse a single-use plastic bag, they are currently charged a premium by Australia post to do so. This in effect goes against their environmental policy. 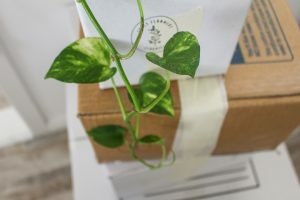 This petition got the attention of Christine Holgate, Australia Post’s CEO, who has since announced that in October 2019 parcels under 5kg will have flat rate pricing, regardless of packaging. 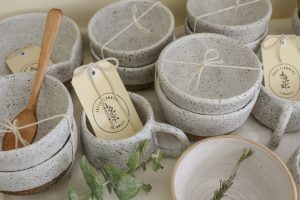 Zero Waste Victoria applauds Australia Post for creating this change that benefits both their customers and our planet; encouraging people to reuse packaging and utilising our planet’s resources. We would like to take Sally’s campaign further and ask Australia Post to bring the launch date of their fair and environmentally responsible postage pricing forward. The best time to do the right thing for the environment is now! Currently Sally uses reused boxes where possible, the local pizza shops supplies many of them from the ingredients they purchase. If that’s not enough boxes for her orders she uses sustainably produced packaging, even though it would be cheaper to put it into Australia Post’s plastic satchel. Doing everything she can to operate sustainably, Sally has looked at other means to reduce single-use plastic. Sally contacted Officeworks and learned they’re in the process of switching their packaging to something more sustainable. But they’re proposing to switch from plastic satchels to 50% recycled plastic satchels. And while having some recycled plastic is better, virgin material is still required and most of this plastic will still end up in landfill. You can support Sally’s Office works campaign here https://www.change.org/p/sarah-hunter-officeworks-please-reduce-your-landfill-choose-compostable-satchels-over-more-plastic. To support sustainable business practices, Sally is launching a sustainability guide for businesses who are want to be more sustainable, but may not know where to start. This is a free resource, so worth checking it out here https://www.sallyflannery.com/pages/small-business-guide.